The reign of the resume has come to an end. Just ask any of the young millionaires from the Better Know a Young Millionaire series. And, there’s more to landing a new gig than a well written cover letter. Technology has infiltrated yet another aspect of our lives, altering the way we apply for and earn work. We’re an impatient bunch, we need answers instantly. We can’t be bothered with lengthy resumes and multiple paragraphs of information on a C.V., no way! So what happens when we apply for a vacant position? After your application lands in a recruiters inbox (because no one actually wants you to mail them your application) two things happen. First, they assess your LinkedIn profile. Then, they will Google your name. That’s just the way it is. A quick internet search is sure to return your social media profiles and any notable work you’ve done, making up a digital portfolio of sorts. The information gathered as part of this online reconnaissance mission will make or break your chances of getting hired. You will need to appear relevant and accomplished, but that’s not all. You want the search results to help you tell your story. Your qualifications and credentials matter, but it’s your story that resonates with people, connects them to you, and builds trust. How can this be done? You need to perfect your bio. 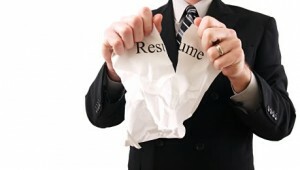 Your resume explains who you are in a rigid, structured, and empty way. Conversely, a well written bio allows you to tell a bigger, more meaningful story about yourself. If the resume explains what you have done, the bio explains provides the why. It’s your chance to talk about what you believe in, what motivates you, and what makes you tick. If you tell a story people can relate to, there will be no need to BS them with buzzwords or fluff. Who am I and what do I do? This isn’t the job title you have or would like to earn, but your chance to talk about your interests, passion, and your why. How can I help you? It’s what people really want to know; what can you do that will make their lives easier or better. Tell them what you have to offer. Share your expertise and abilities. How did I get here? This part is the background and back-story. Think – accomplishments, awards, and notable experiences on the journey to where you are and where you’re going. The more important the person, the shorter their bio will be. And, the shorter the bio, the more people will read it. It’s better to have one or two great sentence. If it’s good, people will seek out more information about you. Plus, a long list of unimpressive things doesn’t bode well for anyone. Lead off your bio with all your best stuff. Give people a reason to keep reading. If they happen to stop halfway through, they’ve already hit the big points. Let people know where they can learn more about you and where they can get in touch. A link to your website and social media profiles is a good way to go. You may also want to include your email address or phone number. Create and use different bios for different purposes. The micro bio is your personal elevator pitch. It’s your Twitter tagline. The short bio is everything we need to know about you in one paragraph. Finally, the long bio is up to a page in length. It’s a more formal and thorough explanation of you. Now you’re ready to build a bio that best describes you. Do you have any advice of for creating an attention-grabbing bio? Nice article Joe, Hope your 4th is terrific! Thanks Thomas. Glad you enjoyed the post. And, the 4th was great. Hope you had a blast as well.